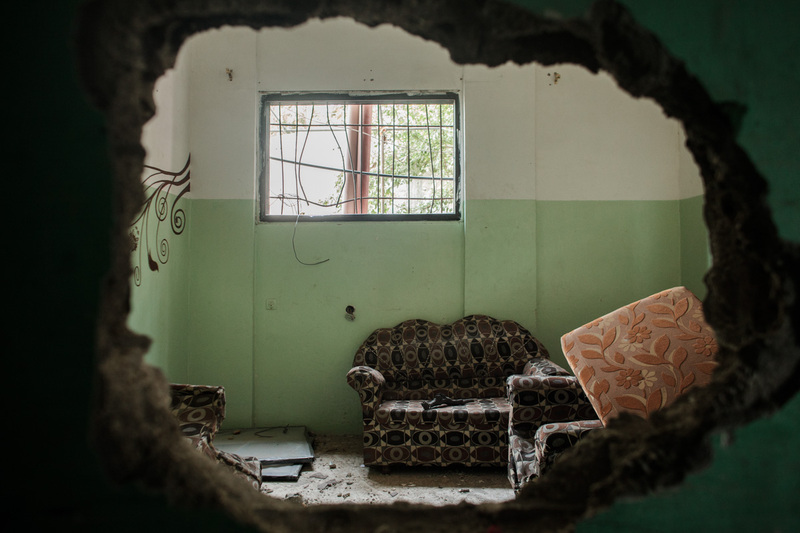 After some thousands (exact number remains unknown) of refugees fled post-war Gaza strip, numerous families await in agony for any kind of news regarding their loved ones. 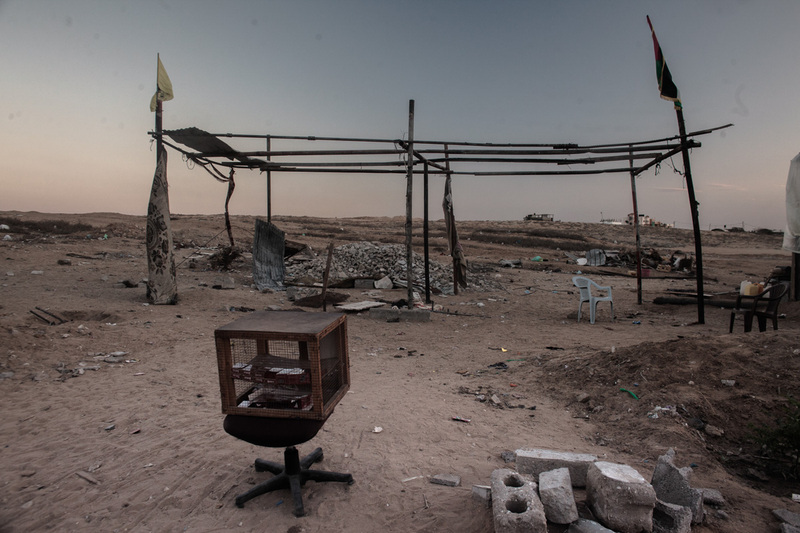 This work sheds light on the personal stories of those who left Gaza, those who stayed behind and those who died trying. This is a testament of those, uprooted by war who were forced to ultimately equal Death with Liberty. Silhouettes of improvised tents draw up in a distance as blankets are spread over few poles, fixed in unstable soil. In front of one tent lays a man, a chain leads from his ankle to a wooden bench. “Don’t wake him up”, warns older woman coming from the tent. “Sa’d is my son, he’s asleep and let him sleep. When he is awake he is suffers.” She introduces herself as his mother. “Sa’d is mentally disturbed, but until the war, we didn’t have to chain him like he would be an animal! That ruins you see if you turn around, were our house once. Now we don’t have a home. 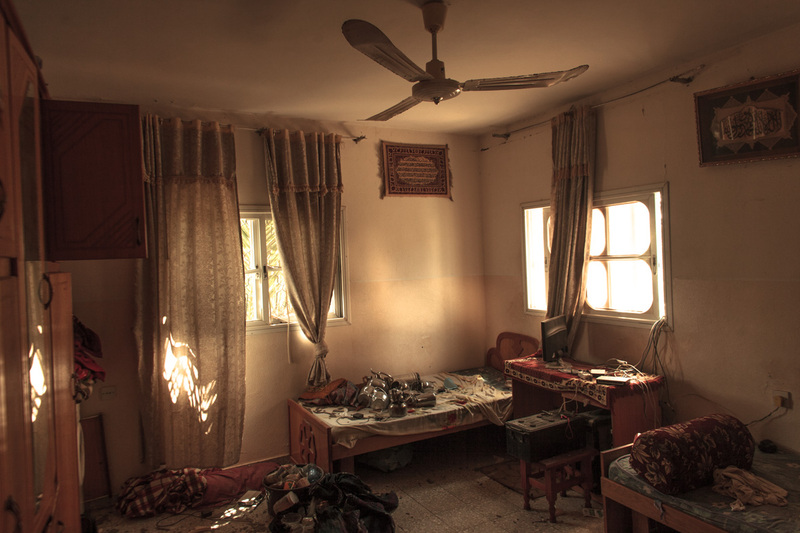 Before the war, Sa’d was kept in his room, but what is left for us to do here? We live in this tent, about a kilometer from border with Israel. We cannot let Sa’d to roam freely, as he could get shot by snipers. He is chained here for his own safety! I don’t even want to tell you anything more, even if you will publish our story, nothing will change for us”. As she would lose thousands of battles each day, she stooped and angrily moved back into the tent. 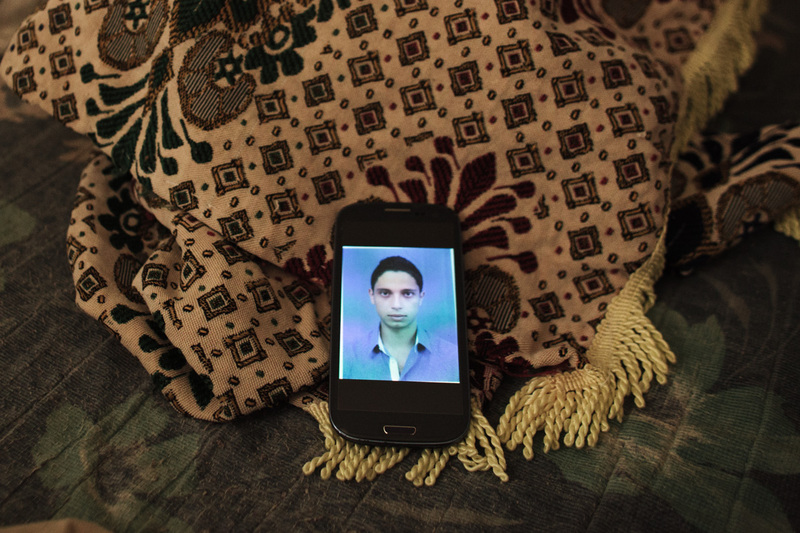 If there would exist a list of missing people, two sons of Ms. Fatima Asfour from Khan Younis would be included on it. 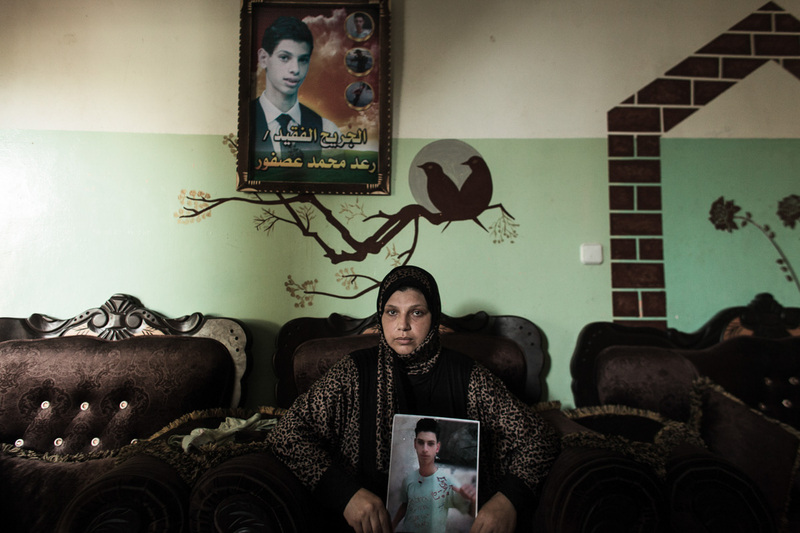 With hands full of motherly love and heart full of agony, she clenched photos of her two lost sons; Ahmed (25) and Ramez (26). “Ramez was an artist, but his work was not fruitful. I tried to help him by organizing exhibitions, but no one cared for it. He lost all anticipations. Ahmed got wounded during Cast Lead offensive but couldn’t get appropriate treatment here. They both had Europe on their minds.” Last time she spoke with them was on 6th of September. 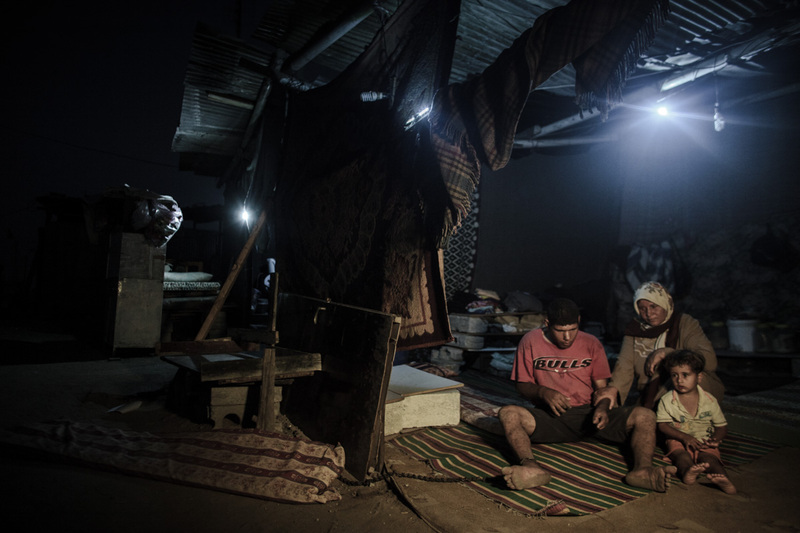 “They tried to reach to my sons and to others migrants but they never ask what pushed them into fleeing. We in Gaza live under occupation, this entire situation is a crime against humanity!”, she was angered. 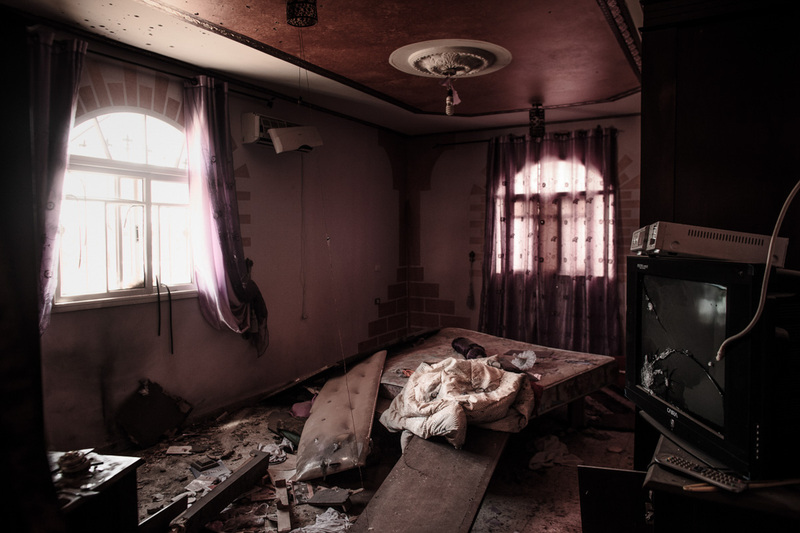 A soft and warm sunlight shines through a window of once beautiful house, revealing the reasons for their escape. In a middle of the damaged room, next to a broken table lies a canvas with unfinished painting on it. Ramez’ auto portrait. 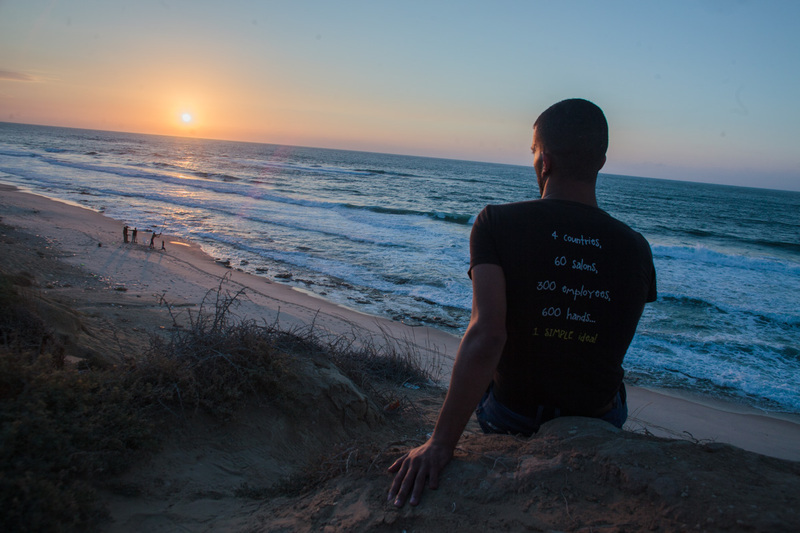 Like his life out of Gaza, it is left unfinished. 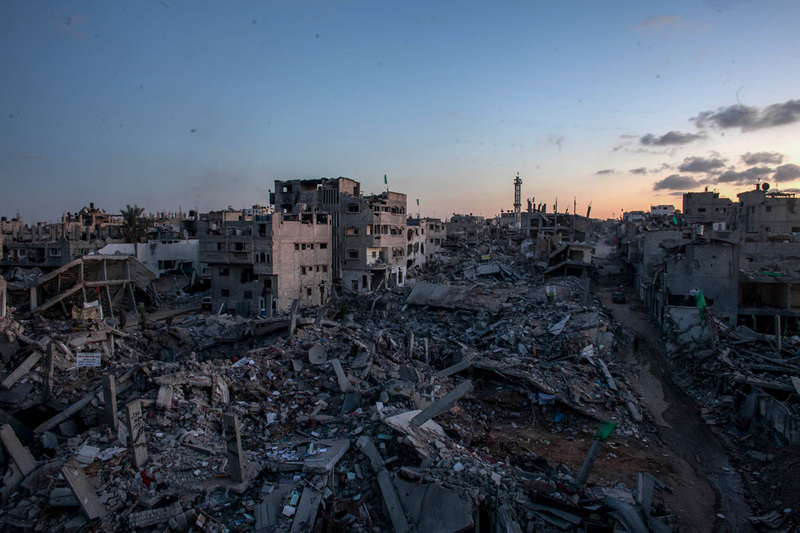 In a town of Khan Younis, in south eastern Gaza one would have a difficulty finding a home, where refugees didn’t try to flee or they don’t contemplate doing so in the future. 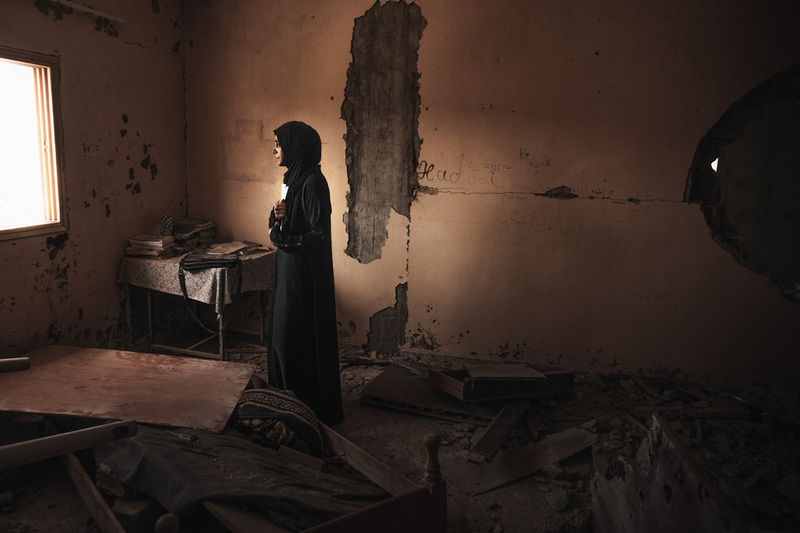 In a living room of house of next to Ms. Fatima’s home, a portrait is hanging on a wall in a living room. It’s a commemoration portrait of Rae’ed Asfour. 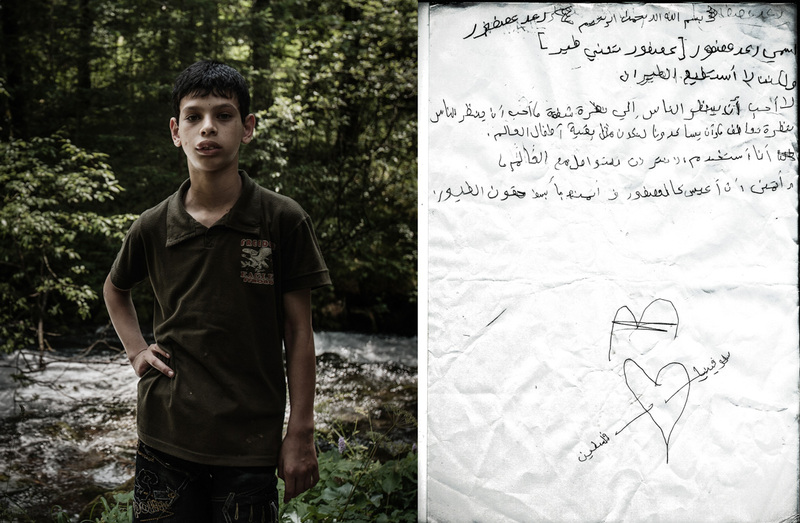 He was a 12-years-old victim of war, who was like Amar, on rehabilitation in Slovenia. At the time of his nerve system treatment there, he wrote a letter to a Slovenian magazine: ”My surname (Asfour) translates to “a bird” from Arabic. But I cannot fly or even move freely. I don’t want people to look at me with pity. I just want them to sympathize with me, and help me to feel I am normal like other children around the world. I use internet to communicate with the outside world and I wish to live like a bird and enjoy our basic rights. Palestine-Slovenia.” On September 6, Rae’ed tried to fly. 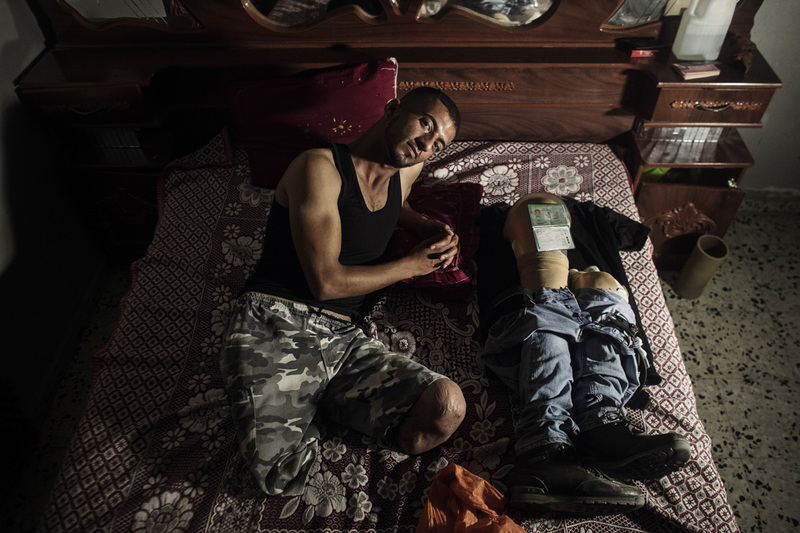 Instead, his hopes of a better life with his father in Norway drowned along with him in the Mediterranean Sea. He was in the ship which was rammed it by human traffickers and sank with about 500 refugees to the bottom of the sea. Amar’s face turns serious, looks in eyes somehow bring to mind a burned out fireplace where Phoenix will never rise again. He tried to escape on the same day, September 6, when another ship carrying some 500 refugees, sunk off the coast of Malta after being deliberately rammed by human traffickers. 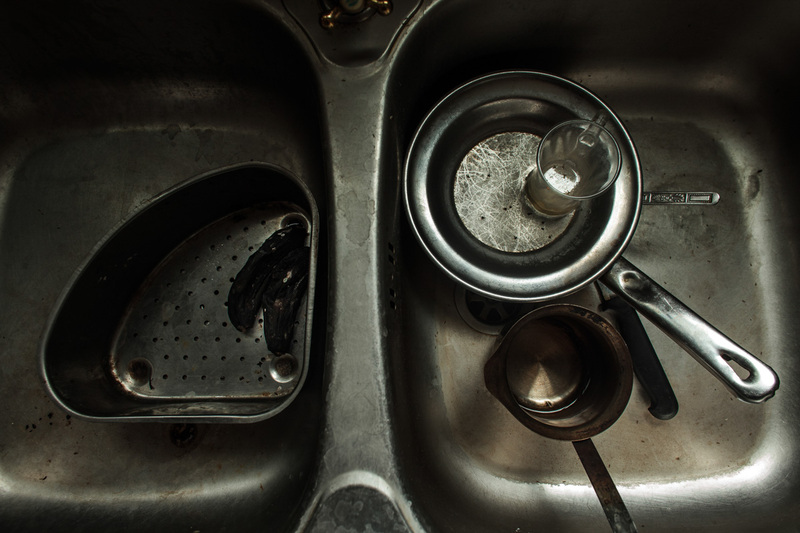 While he pours last drops of tea into cups and puts them on ground covered with cigarette butts, asking Amar how he feels about narrowly escaping death in the Mediterranean on that day, September 6, would be downright pointless. 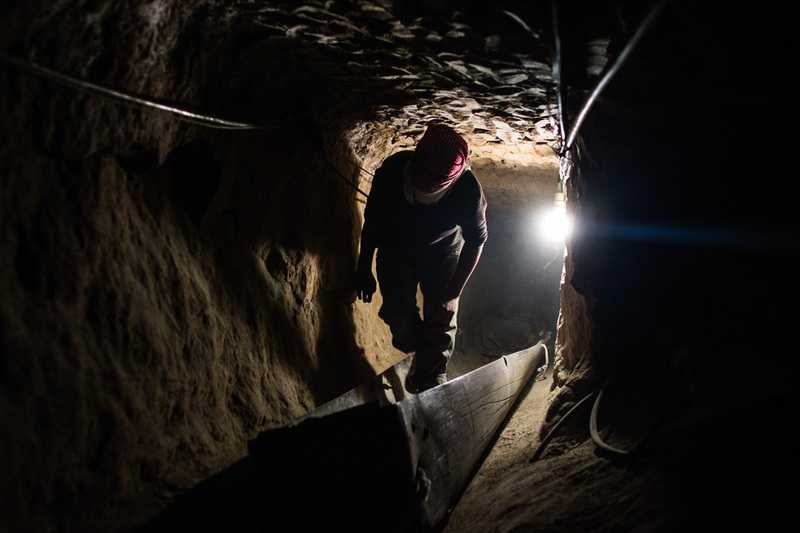 Living in Gaza he narrowly escaped death several times. 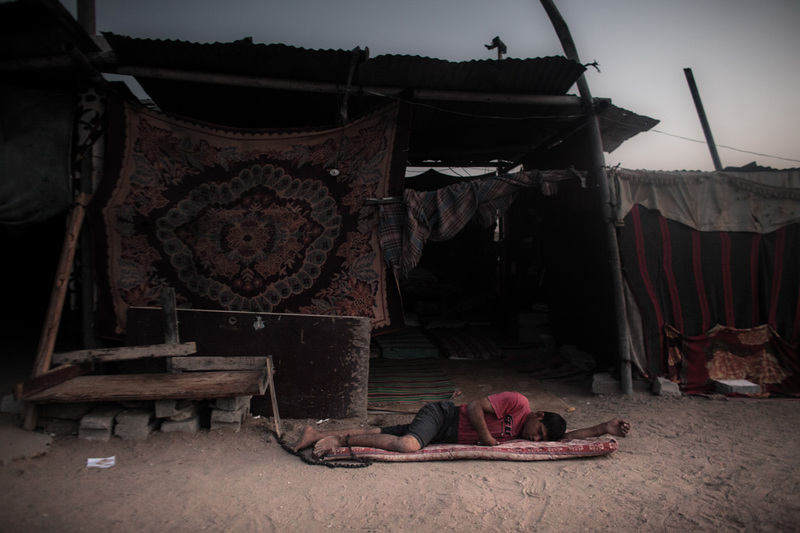 For him, as for so many others, life in Gaza equals slow death. “Soon I will leave again with another group of people going for Europe,” he announced with determination glowing from his eyes.